What do Kelsey's students and their parents have to say? 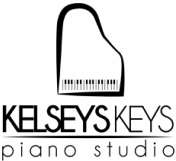 "Kelsey is such an extraordinary musician and piano teacher. She pushes the students to challenge themselves by playing all types of music. I learned so much about technique and different styles of playing, I'm thankful I was able to take lessons with such an awesome teacher!"